We will pick you up from Luxor hotel then transfer privately and guided personally to wander the city of Al Minya or the "Pride of Upper Egypt". Visit the great plain where Akhenaton received the divine inspiration to establish his city before we transfer you to your hotel, get the dinner there and overnight in El Minya. Breakfast in hotel then pickup and transfer to explore Beni Hassan tombs. Visit The tomb of Bakhet III the Governor of the Oryx Nome, then head to spend some time at Khnumhotep tomb one of the 12th dynasty governors & sop also at Khety tomb belongs to another 11th dynasty governor of the city. 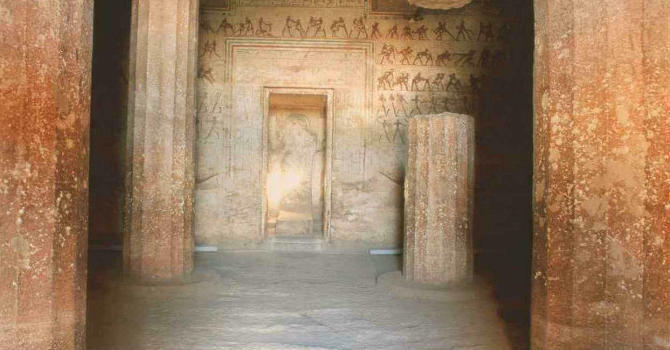 Finally admire the northern tombs before et your lunch meal and and travel back to your Luxor hotel.